Keeping and Gaining Customers Using Postcards. Postcards are perfect for businesses seeking for an efficient and affordable way to promote their products. To write a good advertisement you must have a keen interest in the products themselves. You have to handle them, fondle them and get acquainted with them. And when you have grasped the right sort of impression let them flow naturally from your pen. For most businesses creating a successful promotional material is difficult. They have to see to it that their material appeals to their customers. Aside from this, they have to make sure that their budget is enough to produce the promotional material that they want. For some business owners the marketing ability of postcards works for them effectively. Postcards are perfect for businesses seeking for an efficient and affordable way to promote their products. Aside from promoting your products and services, postcards are also effective in keeping in touch with your customers to let them know that you appreciate them and haven't forgotten about them. 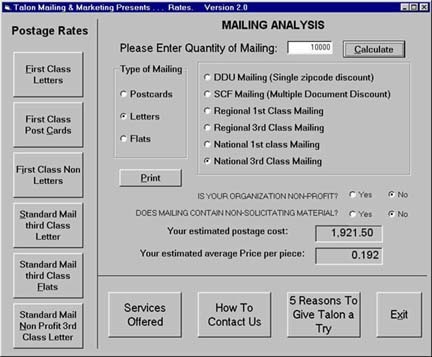 In addition, postcards are a good way to maintain contact with your customers without being a nag. With a design and message that is positive, interesting and creative, you can add a little fun to the recipient’s day. Postcards can also be used to introduce your products or services to wholesale buyers. You will likely be competing with much older businesses; hence, it is important to have a unique and professional presentation. A full color catalog or brochure would be nice but very expensive to produce. For this reason, sending a postcard that shows your work in full color along with your sales materials and price lists can be a good idea. Likewise, if your products or works are shown in galleries, you can use postcards to use as handouts. This will assist the gallery in promoting your work. In this case, it may be in your best interest not to include your contact information on the card. Similarly, keeping in touch is perhaps the best way to make sure that your customers don't forget about you. It is common for most businesses to do nothing after gaining a new customer. They just hope that the customer will come back. Bad idea. Think about it this way. How many times have you seen an ad on TV or received something in the mail and you said to yourself that it was a good idea and you need to look into that. However, the next day you forget about it and never take action. This is common to most people. That is why it is better to mail your customers regularly not just mail them once or twice. Keep in mind that it takes three or four contacts with a customer before they are willing to do business with you. It’s astonishing what kind of growth you can achieve if you get a few of your customers to make additional purchase or two throughout the year. So, work on those postcards and contact your customers to ensure that they keep coming back to you over and over again. In business, there is nothing better than that. Here's an example of a mailing campaign that has gone wrong and how you can avoid the same mistake. Pictured above: This double sided postcard is personalized on both sides. Read below what went wrong with this direct mail campaign. Recently I received the following direct mail postcard from Oce'. 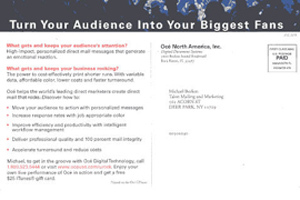 Oce' is a high-tech company that designs and manufactures high-speed laser printers used in the direct mail industry. The postcard was probably well targeted since Talon is a current Oce' client. 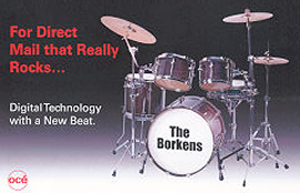 The recipient's last name is displayed prominently on the drums I can even overlook the fact that they misspelled my last name - even though they have my name spelled correctly on their customer database. 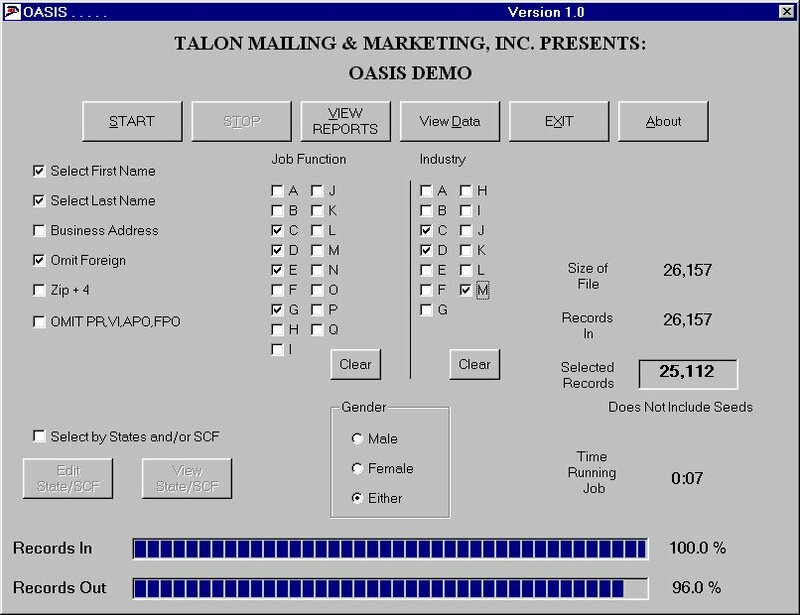 Not only was the mailing targeted correctly, coincidently, Talon can be considered a "hot lead" since we are in the market for a machine capable of doing high-end color personalization exactly as Oce's postcard had demonstrated. Buying an Oce' color laser printer is a long and complex selling cycle; so the postcard's role was to achieve brand awareness or to have the prospect follow up with a phone call or visit a special web site to expand on the postcard. I did exactly what the card suggested - calling an 800 number supplied on the card and told the operator I was interested in learning more about Oce's color products. Within a few days, I received a phone call from an Oce' representative. The rep explained that he would pass along my contact information to a local Oce' salesperson and that I should expect a telephone call from them shortly. Here is where Oce' dropped the ball: It's been about three months and the local Oce' salesperson has never called! The machine we are interested in probably costs more than $200,000, and Oce has let a qualified and interested prospect slip through the cracks. When doing a direct mail campaign, don't short-cut the preparation your sales staff and office staff will need when orders or inquiries arrive. Make sure the entire staff knows about the direct mail campaign and create procedures how to handle customer and prospect feedback and communications. Your goal should be to offer the highest level of customer service when orders or inquiries arrive. No matter how good your direct mail campaign is, if your staff is unable to complete a transaction or prepared to handle prospects and requests, you're throwing away money on the direct mail campaign, and worse, losing sales opportunities. Seen any bad direct mail lately? Please send examples or contact Michael Borkan at mb@talon-mailing.com . If we mention your example in a upcoming newsletter you will receive a surprise gift. Keeping & Gaining Customers Using Postcards. The first three golfers to call Michael Borkan at 631-667-5500 x 303 will be my guests for golf and lunch on Friday August 25th at the Woodcrest Club. 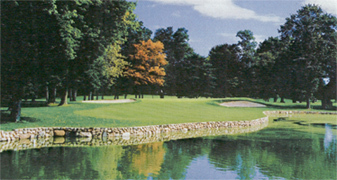 Located in Syosset New York, this is a great golf course and a wonderful opportunity to meet the other marketing professionals in our four-some. Questioneverything.com - a refreshingly honest look at weight loss. Homesales.gov - free goverment site that lists foreclosed properties being sold by the Federal Housing Administration. Mediapost.com - on-line resource for all advertising media professionals - TV, cable, radio, print, interactive. Fraud.org - National Consumer's League's website devoted to Internet & Telemarketing fraud.